Today, we will be introducing a pachislot machine of “The Melancholy of Haruhi Suzumiya”, a popular light novel series that was made into an anime in 2006 and also into a pachinko machine!! 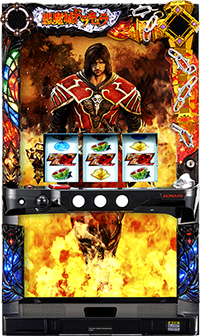 There are wide range of renditions throughout the game, that player gets a chance to win a jackpot at any point!! 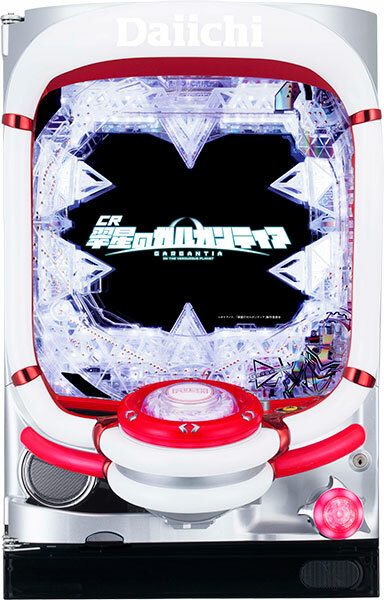 For example, player’s chance of winning a jackpot increases when the player reaches the goal at “Haruhi Sugoroku” rendition, and there is another rendition called “closure points”, in which player gets a point by failed rendition. 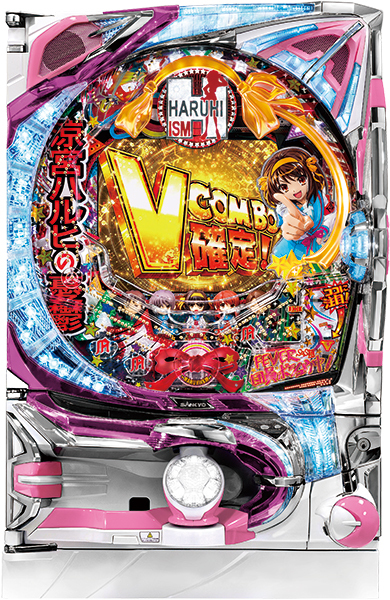 Also, there is an another rendition called “Sunny Chance (hare-bare chance)” and “Combo Challenge” in which player gets more winnings as their winning streaks increases. Possibilities are infinite!! 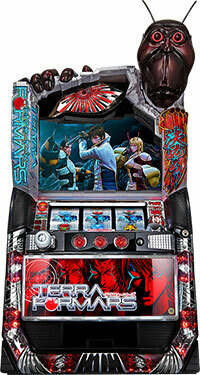 They have also added new soundtracks to this machine, that this is a must play for the fans of “Haruhi Suzumiya”!! Let’s read the original works of “Haruhi Suzumiya” and wait for it!! 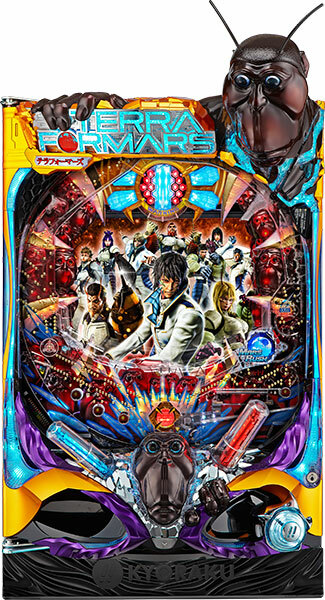 Today, we will be introducing a pachislot machine of a popular manga, “Terra Formars”. Its original work is a science fiction manga, in which the humans fight against cockroaches that made an astounding evolution on Mars. It has been media mixed into animations and more. What player should pay attention to is the figurine of evolved cockroaches, “Terra Formar”, located on top of the chassis!! There is also an impactful rendition which player punches this figurine to win the jackpot. This machine is expected to make its debut on 20th of June. Fight against Terra Formars with your own fist!! 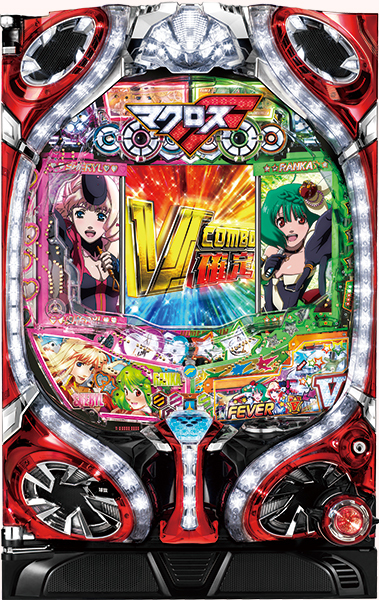 Today, we will introduce the latest pachinko machine of “Macross Frontier”, a tremendously popular animation since it aired from 2008. High-speed mechanic action of variable fighter ‘Valkyrie’ is a must see!! You should also pay attention to a triangular relationship between two divas, Sheryl Nome and Ranka Lee, and Alto Saotome!! Whatever one may say, Macross series are known for its songs!! 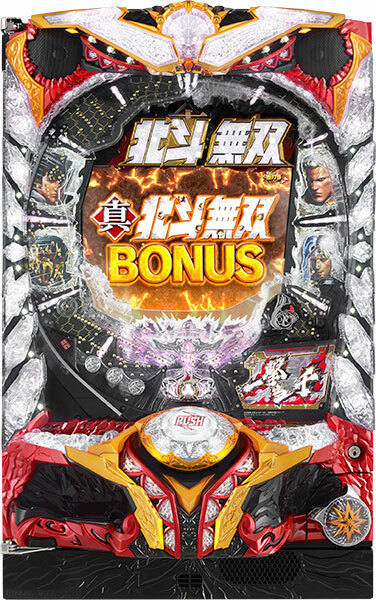 This pachinko machine is loaded with 32 songs including songs from the movie as well!! It is expected to make its debut around this summer! !Don’t miss it!! It’s time for the long awaited pachinko version of the smash hit anime “The Melancholy of Haruhi Suzumiya”! There’s no way a pachinko based on Haruhi could be anything but extraordinary! The game comes with a never-before-seen feature! Kyoto Animation made new animations specifically for this machine! 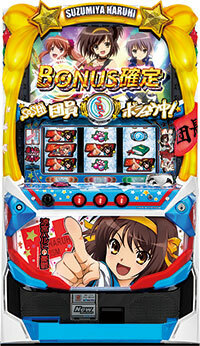 Have a blast with Haruhi Suzumiya in a pachinko hall near you!